Theresa May thinks the agreement she has negotiated is the best possible and she does not want another Brexit vote. But now she is hinting about a no Brexit. Amendments to legislation going through Parliament will spell out that the UK’s membership of the EU will end at 11pm GMT, midnight in Brussels, on March 29 2019. Theresa May again vowed to press on with her Brexit plan today, insisting it is the only option on the table that delivers on the result of the EU referendum. It would effectively keep the UK in the single market, with a customs bolt-on to avoid a hard Irish border, and backers say it would keep Britain close to the EU while cutting contributions to Brussels. However, critics say it has the drawbacks of keeping free movement, – and tightly limiting the possibilities for doing trade deals elsewhere. Mrs May’s mantra for more than two years was ‘no deal is better than a bad deal’. And while she appears to have abandoned the claim, many Tory Brexiteers insist the government should stick to its guns. They point out that, as Article 50 has been invoked and the Withdrawal Act passed, that is the default legal outcome. The hard Brexiteer argument is that while MPs can pass motions demanding a change in policy, they will not be binding on the government. Instead they say ministers should simply ignore MPs and try to force through a no-deal outcome. With Westminster deadlocked, the possibility of asking the public to think again has strong appeal for many MPs. They want a second referendum (which they hope the British people will change their minds) or to revoke Article 50 and just stop Brexit or the so-called Norway option which keeps Britain under EU rule without any say over its destiny. All these options are unacceptable. If, as seems likely, the deal is rejected then the EU should see sense and look again at its unnecessary backstop solution. Boris Johnson is completely right in saying that it is totally unnecessary not least because nobody will build a hard border between Ireland and Northern Ireland and a border already exists in terms of taxation, currency and many other things. The UK’s Nigel Farage called the proposed deal “the worst deal in history” (see ‘N. Ireland to Stay Locked in EU Customs Union: Brexit Update’ ‘Worst Deal in History’). The EU agreed to a deal that many in the UK do not want. Now, Theresa May keeps hoping to get the deal approved anyway. If the deal is approved as is, it is not a total break from the EU (at least at this stage; see also EU approves Brino Brexit deal, but deal still needs approval by UK and EU parliaments). 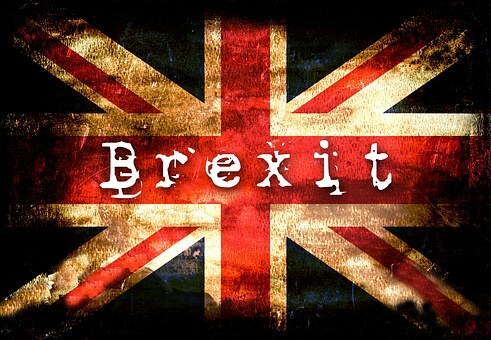 The EU will still be upset with the UK and later will further insist on outcomes that many in the UK do not want. If the deal is not approved, and a ‘hard Brexit’ happens, the EU will be even more upset. It will consider that the UK is also unreasonable and even more unreliable. If the UK does not Brexit, the Europeans will further see the UK as inept and will point to this to show other nations why they should never try to leave the EU. The Brexit situation is now a mess for the UK. Europe is not going to ‘get over’ the Brexit vote and will one day take actions that most of those in the UK (as well as USA and Canada) will not consider possible (cf. Daniel 8:24-25, 11:39; see also USA in Prophecy: The Strongest Fortresses). This entry was posted on Thursday, December 6th, 2018 at 8:00 am	and is filed under Prophecy.